I’ve worked a lot lately with my church’s Small Groups Ministry team. And DUDE… it’s been really exciting to dig deep into a ministry that is so close to the heart of our church. Our church believes that we grow bigger by growing smaller. We recognize that it’s in our small groups where the real ministry of the church happens. It’s where people connect deeply with one another and where they can get ministered to. It’s Christian community at it’s finest. I’ve equally been deeply immersed in community online for over a dozen years. In fact, it’s been somewhat a specialty of mine. So naturally, I’ve thought long and hard about how I can bring these two worlds together. I’m of the school of thought that if we can leverage the best of online and in-real-life community, then we can take fellowship and Christian community to another level. So I’ve tried some things out with my own small groups. And I’ve asked some friends who are experts in social media in the church what they think. 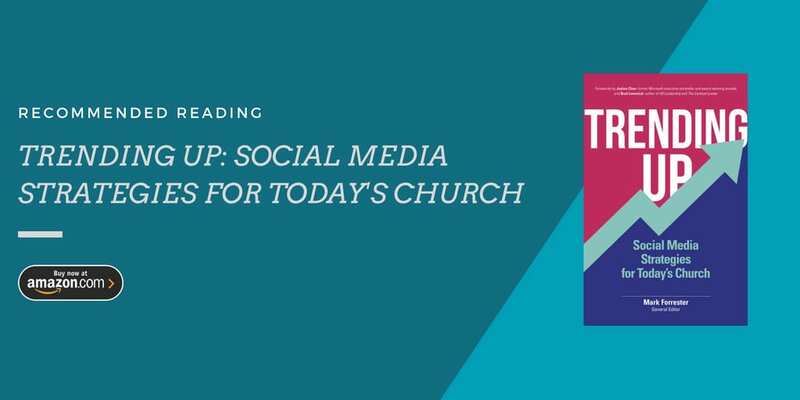 The result is this list of ways that church small group leaders and small group ministries can use social media to take the sense of community to another level. Small group leaders understand that more important than doing some sort of book or Bible study, groups are about doing life together. And while it’s critically important to building relationships, it’s also hard to go really deep if you’re only connecting with each other for a short time once per week. Therefore, it makes sense to use other methods of communication throughout the week. Online groups are a great tool to enhance the community by giving people a place to continue to talk throughout the rest of the week. You can use Facebook Groups to create an Open (anyone can join and see it), Closed (only approved members can join, but it’ll show up in Facebook search results), or Secret (closed and invisible to Facebook searches) group. There are similar alternatives on different platforms. But it’s important to go where your members already are, which right now is probably on Facebook. Open groups can be a great tool if part of the purpose of the group is to draw in other people. Members can post links to other resources, videos, infographics, or simply continue conversations from the in-person meetings. These items can then also be shared by members on their personal profiles, extending the conversation and reach of the small group well beyond the meetings. It really depends on the purpose and desire of the group itself. When a group starts, one conversation that should happen is about how everyone would like to stay connected throughout the week, and whether they want it to be open to others or not. If you are going to create groups for the small groups the church promotes, be sure to stay consistent in naming them so they are easier to find in the search. This may allow them to be lumped together when the search executes, making it easier for the person searching for Calvary Church’s small group groups on Facebook. It’s a simple strategy that can greatly enhance the visibility and reach of the church as a whole. Having a simple discussion about this up front, and posting the rules of engagement in the group can save a lot of people from frustration, and keep the online group as a positive experience for everyone. I can’t remember the last time when I was in a small group setting and some YouTube video wasn’t mentioned. Talking about other videos we’ve seen on or off of YouTube is a pretty common occurrence in just about any conversation these days. And even if it was a video not originally seen online, chances are, you might be able to find it on YouTube. When you make these playlists handy for people to get to, then you even create an environment where members may even share the videos in their personal Facebook feed with thoughts about what they discussed in the group. And that can be an awesome tool for expanding the reach of your small group discussions. When I say to use hashtags on Twitter and Instagram, I’m not saying that you should force your people to use certain platforms they don’t normally use. If the people in your group(s) don’t use Twitter, then don’t worry about it. But if they are on a platform (like Instagram), then find some creative ways to use hashtags for the group, the church, and even specific events. Encourage members of the group to engage that way. For example, you can have people share Instagram pics throughout the week that stem from your discussion topics. Make sure they use your group hashtag when posting, and you (the leader) and other members can monitor them to see what people are posting. You can also leverage other trending hashtags to have some fun with your group and/or get in on an important social message. For example, using common hashtags like #parentingfail, #parentingwin, #momlife (all generally non-religious use) can become a discussion topic in a couples group, and a way for people in your group to share their experiences (also with your group hashtag) to connect in a real way with people inside and outside of the church. The tricky thing with hashtags is to make sure that the one you use for your group/church/event is not already in use somewhere. I’ve seen several instances where a church group uses a hashtag that’s also being used by people with not so moral intentions. So search a little bit first to make sure you’re not mingling your hashtag stream with something you don’t want to mingle with. And for bonus points, use other hashtags that are common among the Church on social media. Using hashtags like #church, #bible, #biblestudy, etc can help your stuff get noticed more outside of your church. This kind of group is probably best as a closed community where leaders can share experiences and talk through things with each other without the fear of it being seen by others (possibly their group members). The small group ministry leader should encourage conversation and share tips and resources for their leaders. Sites like ChurchLeaders.com have some great small group ministry resources that can be shared and discussed in this kind of space. It’s great for team building and skill development. Additionally, sharing testimonies and success stories in this space is also a great way to capture the impact the church’s small group ministry is having. Finally, if you want to expand the reach of your small group ministry, then it’s important to take it to the public at some point. And the church’s Facebook page is as good a place as any to do just that. You’ll need to consider how much you’ll share. Promoting individual small groups could be a good strategy, but it may be best to share more general information about groups so that you don’t give the appearance of showing favoritism. You don’t want anyone to feel discouraged or left out. Keep it somewhat even for all groups. One thing that’s always good to share in public space is the stories and testimonies of lives transformed through your small group ministry. You’ll want to make sure that everyone involved is okay with sharing the stories. You could run the risk of embarrassing someone by using the information they thought was only going to be shared in the smaller community (of the group). However, when everyone is okay with it, these stories of personal transformation are a powerful witness and tool to show others the value of small group community in your church. So get creative, and use videos, images, and whatever helps you communicate these testimonies effectively. You could reach a LOT of people with them! What are some things you do with social media and small group ministry? What would you consider as best practices? Thanks for the post, Dan. We started implementing a FB community for our small group leaders, today after reading this post. Every means possible to support our awesome volunteer leaders. We’re still trying to get our church into the current century. Great suggestions!